It all begins small, as most things do. Three years ago I was quoted in an article on body image at the Gospel Coalition’s blog. I submitted a few more articles in the next several months, and a couple more were published. One had a particularly large following – a Father’s Day post. I felt humbled and amazed to have been able to connect with so many people. And encouraged to keep on writing. I attended The Gospel Coalition Women’s conference in June 2014, praying for a connection with a published author and direction for how to go about writing a book. God opened more doors than I could have imagined, through Collin Hansen inviting me at the last minute to a writers’ gathering where I met real-live-published-authors Hannah Anderson and Jen Pollock Michel. I heard a panel of writers talk about their writing – Gloria Furman, Jen Wilkin, Christina Fox, and Melissa Kruger. I took it all in. And I also “happened” to meet a member of Crossway Publication’s marketing team, who later introduced me to an acquisitions editor at Crossway who walked me through the process of writing a book proposal in fall 2014. January 2015 brought the best news ever: my book proposal was accepted and I had a book contract for a book on the topic of shame and the gospel. I couldn’t believe it! For the next six months, I wrote the book between the demands of life in stolen moments while our daughters were at preschool and early mornings and late evenings. Then began the editing process – which was probably my least favorite. But my editors Dave and Tara certainly softened the process for me and sharpened my writing significantly. I am so grateful for them, and for the entire team at Crossway who have been so kind and helpful and encouraging to this first-time author. All of these efforts (plus asking for a foreword and endorsements) have coalesced into the advanced reader’s copy that was printed and mailed out in the past month to my fabulous launch team and influencers. 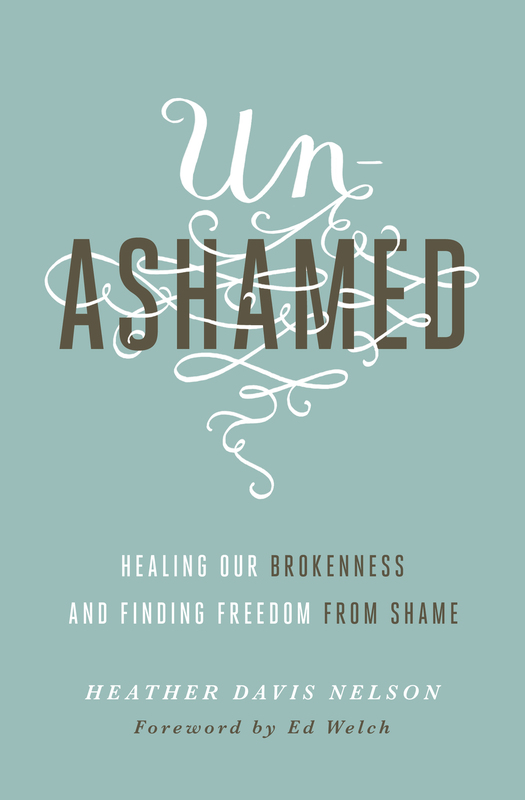 Unashamed: Healing Our Brokenness and Finding Freedom from Shame is available for pre-order at Amazon, with a June release date. And it will launch with this summer’s TGCW 2016 conference in Indianapolis. Then another stage of fun begins – having the privilege of connecting with readers and other audiences around the message of this book. I hope you’ll be part of this group! Cannot even begin to tell you how I excited I am for you! You are an inspiration and encouragement to me on so many levels and I can’t wait to read your book! Congrats on the new book! That’s so exciting! Your story encourages me that those connections we need as writers can happen and eventually unfold over time. (As someone in the process of writing a book proposal, I needed to hear this today). You seem to explain it all with such grace too. My friend just attended the TGCW and loved it. I’m putting this on my list of potential conferences for next year!